Let someone else do the dishes for you on Easter Sunday. Many Howard County restaurants will be more than happy to host your family for a special brunch or dinner. Arrive hungry and wear something stretchy to take full advantage of these delicious menu offerings. Turf Valley Resort is hosting an Easter Buffet in their Grand Ballroom from 10 am - 3 pm on Sunday, April 16th. Menu highlights include chef carved prime rib and carved leg of lamb, Chesapeake steamed shrimp, Maryland fried chicken and an omelet station. See the full menu here. Call 410-423-0813 for reservations. The Turn House in Columbia is having an Easter Brunch Buffet from 10 am - 3 pm on Sunday, April 16th. The buffet will include a lamb carving station, ham carving station, oyster bar, scrambled eggs, bacon, sausage, waffles, croissants, biscuits, smoked salmon plates, bagels, muffins, fresh fruit, granola, yogurt bar, mini quiches, house salad, cookies, mini tarts, cream puffs, coffee and juice. Contact The Turn House at 410-740-2096 to make a reservation. 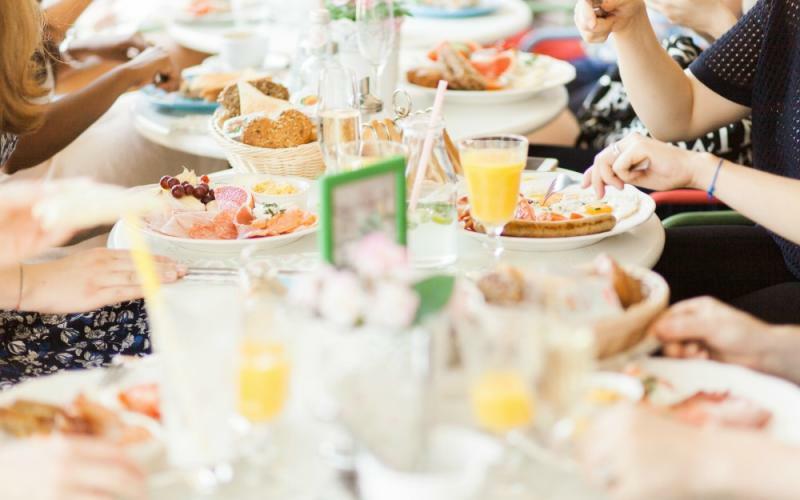 Join Baldwin&apos;s Station for their family friendly and delicious, all you can eat buffet featuring traditional brunch and dinner items from 10 am - 5 pm on Sunday, April 16. Call 410-795-1041 to make reservations. On Easter Sunday, The Kings Contrivance Restaurant will have a special brunch menu available from 11 am - 3 pm that includes appetizer, entrées and dessert selection. They will also have a special pre fixe dinner menu available from 11 am - 7 pm that includes an appetizer, entrée and dessert selection.